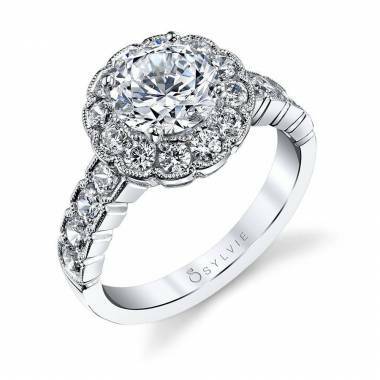 This unique, flower engagement ring features a dazzling 1 carat round brilliant diamond surrounded with a series of round, milgrain edged frames containing bezel set diamonds in a stunning halo formation. 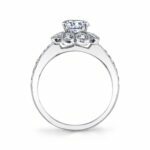 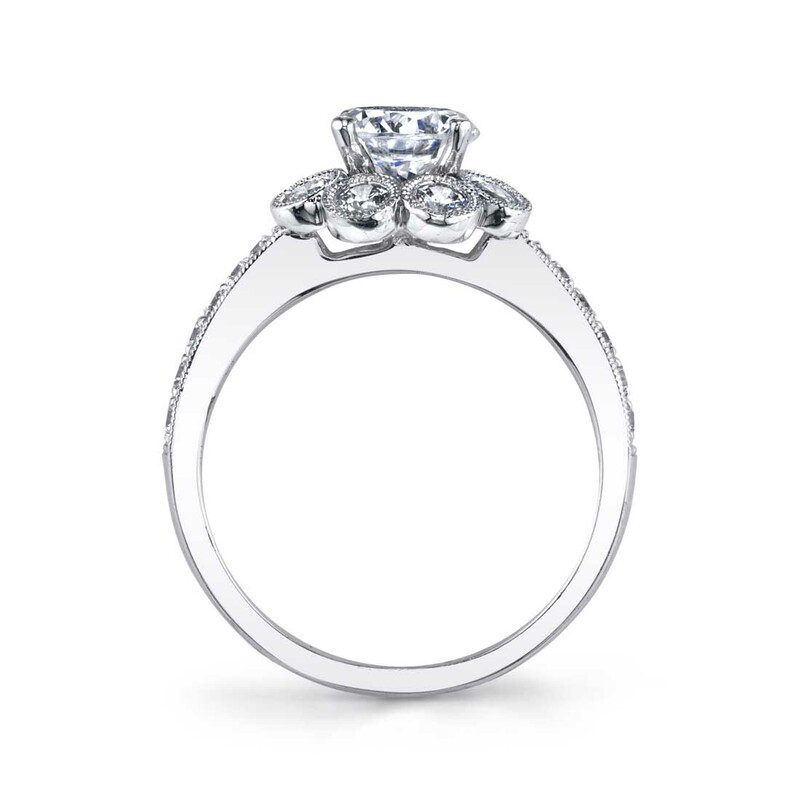 The tapered shank is lined with graduated round dazzling diamonds, prong set inside a channel with more milgrain edging. 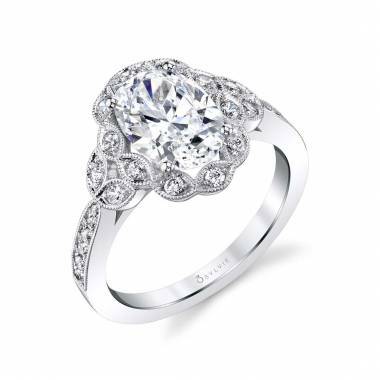 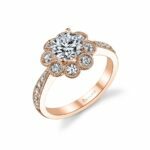 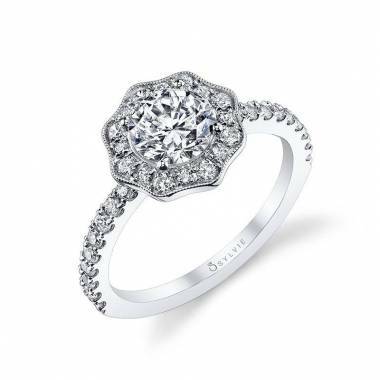 This vintage inspired flower engagement ring has a total weight of 0.58 carats.